Commencing in 2002, the BPA offered the Caesar Award as the crowning achievement of its many competitions. As they say: “To the victor goes the laurels!” This honor went to the player who accumulated the most laurels over the course of the BPA year (including the pre-WBC weekend, mini-cons and PBeM events) as measured from one WBC to the start of the next. Laurels were earned for each of the top six places in every event offered. The level of points earned for a given event was directly related to the event’s prize level rating. Thus, the bigger and longer events offered more laurels to the top players. Century events offered more laurels than Trial or PBeM events but they all counted in determining the BPA’s top annual competitor. Every BPA member was automatically entered into this championship hunt. The more you played, the more chances you had to score. Scoring is automatic and requires no extra effort by either GM or player. For each event, laurels were awarded by multiplying the Event prize level times the rank to yield laurels earned. a) 1776 is worth two prizes. The 4th place player would earn 3x2= 6 laurels. b) The winner of ASL (six prizes) would earn 10x6 = 60 laurels. c) The 6th place player of History of the World (six prizes) would earn 1x6= 6 laurels. d) The 4th place player of We The People (four prizes) would earn 3x4= 12 laurels. PBeM tournaments were worth one prize. The winner of any PBeM event would earn 10 laurels, the runner-up 6 laurels, and so on down the line. The Caesar was awarded to the BPA member who earned the most laurels over the course of the BPA year without a sportsmanship disqualification and was honored as our competitor of the year—regardless of his/her choice in games. Event Eligibility: Junior, Teen, and Demo events are not eligible. All other BPA tournaments (including Trials, mini-cons and PBeM tournments) are eligible. The Caesar Award replaces the Classic Ironman in the BPA pantheon of honors. CIM will no longer be contested. The definition of what constituted an eligible classic game was too subjective. Now, the entire universe of BPA competitions is covered by a system that embraces the BPA prize policy and is simple to score and understand. Moreover, it encourages play year ’round in the BPA’s many mini-cons and PBeM tournaments as well—bringing everything together under one standardized scoring umbrella. Neither short nor long games are disenfranchised. Euros, wargames, sports and family games are all covered and given a fairly-weighted, common denominator allowing all to compete on an even playing field. While critics may contend that one camp or another has an inherent advantage, all are given consideration in a compromise solution that best addresses the needs of the entire spectrum of the BPA games-playing universe. As they say in sports, let’s prove it on the playing field—and whatever you do—don’t rest on your laurels! The Caesar Award, being a new concept, is very much a work in progress. As a result of feedback received during the initial year, we made the following scoring changes. The 2003 Caesar Award was based solely on competitions at WBC 2003 inclusive of its three Pre-Con events. The 2004 Caesar Award was based on all BPA events following WBC 2003 until the end of WBC 2004. Henceforth, laurels will be determined after the competition, based on the prize level earned by the event in the year in which the competition is held and will have nothing to do with the number of plaques awarded. Scheduling bonus levels, membership votes and prior year performance will not enter into the calculation. This will apply to all BPA events, whether email, mini-con or WBC. This means, among other things, that email events may be worth as many laurels as, or more than, their WBC counterparts. The drawback to such changes is that the simplicity of the system takes a hit and the exact number of laurels at stake in any event will not be known until the event ends and the paperwork is completed. 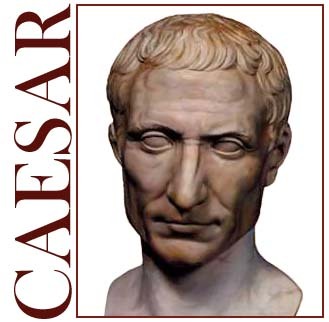 Since the purpose of the Caesar Award is to promote competitive boardgaming at all BPA tournaments, the award will continue to include all events run by the BPA and not just those of the WBC except for the transition year of 2003. Future projects include a tabulation of all lifetime laurels earned retroactive to the start of the BPA in 1999—both overall—and for individual events. The latter is already in place on each event’s report page.